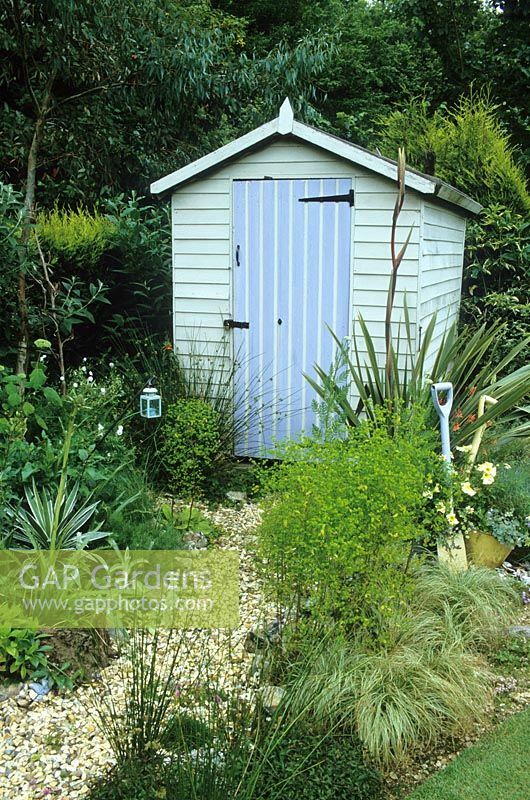 Gravel path leading to painted shed in seaside themed garden with Yuccas and phormium. Decorative use of painted spades. Image 0055356 has been added to your cart.